Fayose to seek court judgment to complete aborted 2006 tenure – Royal Times of Nigeria. Governor Ayodele Fayose of Ekiti State has said that he will contest in court his removal from office during his first term tenure, since the Supreme Court had ruled his removal was illegal. 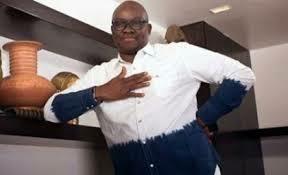 Fayose who was explaining why he chose to put his image on campaign posters across the state, said that he will seek the court’s interpretation on whether he can complete the remaining seven months of his truncated first term in office and also consider seeking a re-election in 2018. Speaking during his monthly public enlightenment programme, “Meet Your Governor” in Ado Ekiti, Fayose emphasized that the case as to whether he was entitled to complete his tenure or not must first be determined before there could be another governorship election in the state in 2018. Fayose got sworn-in for the first term tenure in May 2003, but got his tenure terminated through impeachment on the sixteenth of October, 2006. But the Supreme Court in 2014 nullified the impeachment about seven months to the end of his first term.